The studio boss here, Lewis Wolf (Harry Green), is very overtly Jewish. The heroes are all good guy crooks, and the bad guys are all bad guy crooks, and the crooks get away with everything. Making a living is tough, no matter how many big ideas you’ve got in your head. The world is pretty set in its ways; what hope do you have of making your own imprint on it? 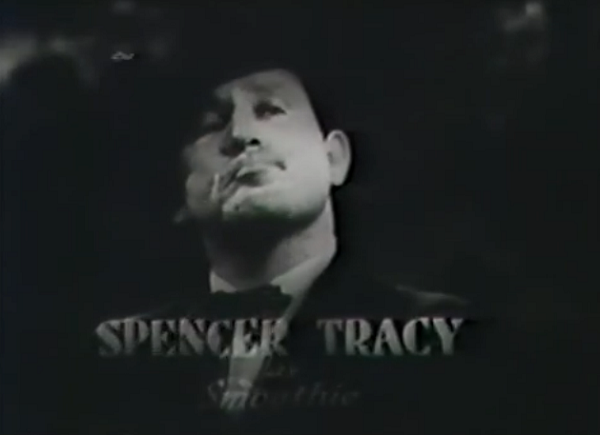 Spencer Tracy is ‘Smoothie’ King, a conman who’s come down to L.A. from Frisco to give the notably-brittle motion picture racket a shot. With him he’s brought Limey, a check forger, and together they’re going to try and get large-schnozzled newspaper salesman Spuds a shot at being a big screen crooner. 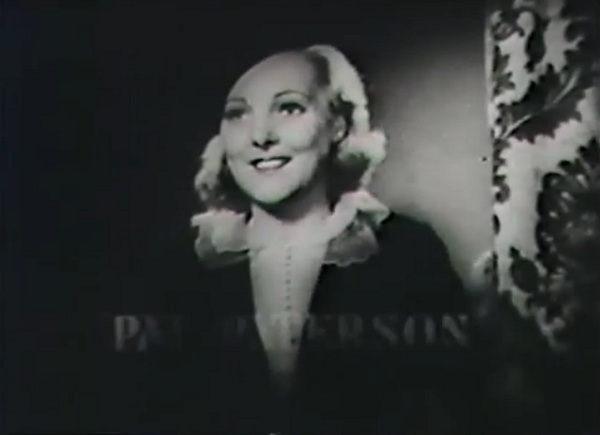 By chance they run into struggling actress Wanda Gale, a pretty import from Toronto who was already churned out of the studio mill. Taking the four back to Spuds’ flat– a house on an abandoned mini-golf course– Smoothie conceives of a surefire way to make it big. Limey impersonates a rich count and Gail his daughter, creating a media sensation. After leveraging their fame at a party thrown by established star Judith Marlowe, the quartet soon has a contract and is ready to reek havoc on the unsuspecting studio. 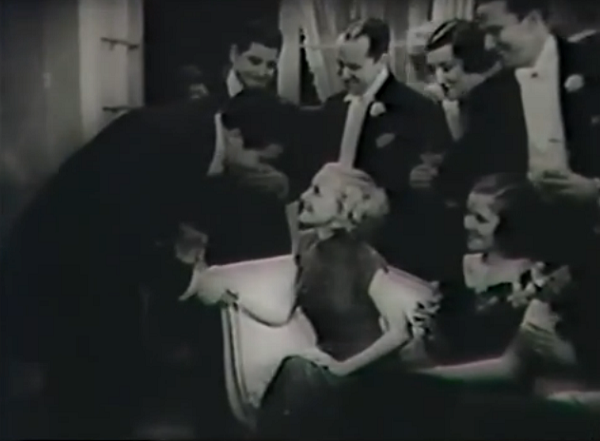 This allows Gail to finally get her chance to make time with the handsome but troubled matinee idol Hal Reed. The film’s plot is a clothesline for bits that mostly tease the motion picture studios rather than poke at them. 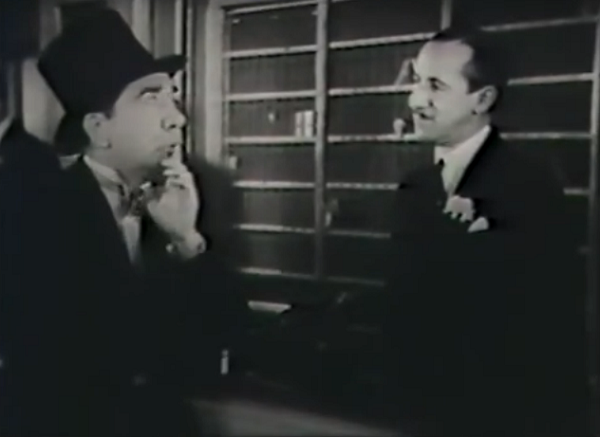 The humor is slight, as the charming and sweet wiseguy stuff is material that Tracy could pull off in his sleep, something that Pat O’Brien was doing at the same time in the similar (but less polished) Twenty Million Sweethearts. Paterson is lovely if unremarkable, and the same goes for Boles. 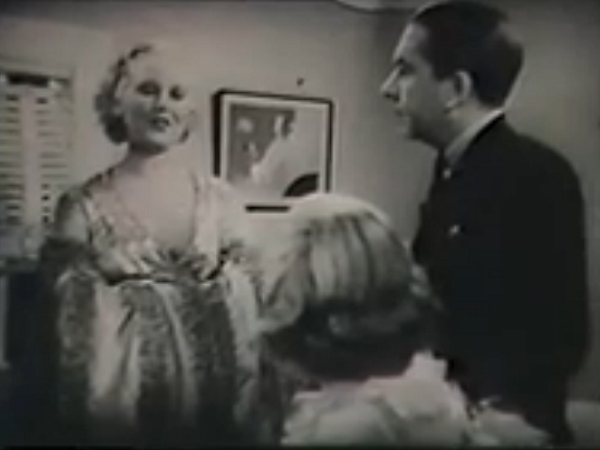 Mundin and Silvers both have some excellent moments, but the real standout is Thelma Todd in an all-too-brief role as the ditzy Marlowe. Todd’s banter with Mundin’s Limey is excellent, especially when she pulls out the claws and tries to intimidate Gail before a big musical number. Limey responds, “You may go now, Ms. Marlowe. It’s true we practiced a little deception to get some honest work. But I’d hate to know what you had to do to get into pictures.” Burrrrrrn. 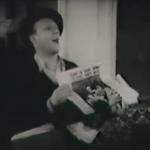 The film is a musical, though only one number is any more complicated than a sweet song sung solo. That piece is “Waiting at the Gate for Katie,” a large choreographed number about a man wanting to take a beautiful woman on a date from her boarding house. 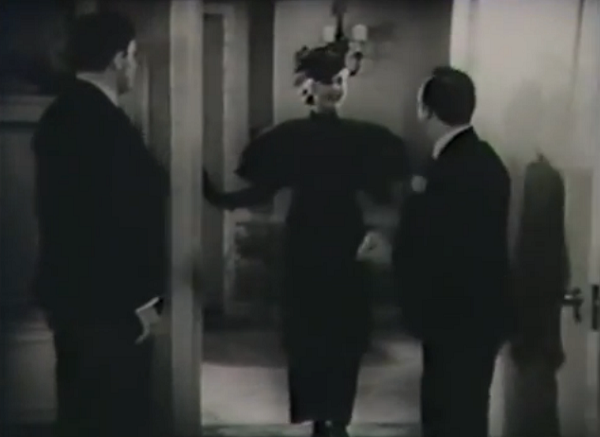 It’s elaborate, filled with the usual amounts of silly humor and (for the pre-Code musical) women dressing. It’s easily the highlight of the picture; it doesn’t hurt that the number’s simple musical hook is especially catchy, and some of the visuals are completely loopy: one scene features a woman getting hit in the hinder with a lawn dart, while another shows Gail’s Katie being so desirable and beautiful that her presence stops time itself. Thematically, though, the picture speaks to those who like to see the system bucked and anyone who’s a fan of the platonic romantic ideal. The trio of thieves are all low level geniuses (with Limey’s autograph book being filled the more and more just as he learns the movie stars’ favorite banking locations), but they still manage to be met in deceit and thievery by studio head Wolf’s skeezy lying and temper tantrums. The trio may be crooks, but they’re crooks in an ocean full of them. Bottoms Up has a surprisingly downbeat ending, or least how’d we see it nowadays. Smoothie, who remains defiant that he ‘ain’t the marrying type’, sacrifices his nascent career as a promoter to bring together Gail and Reed. His sacrifice makes Gail happy and gives her a sense of security. What matters isn’t that she’s with him, but that she’s with someone who loves her and can provide for her beyond the next week’s con. Smoothie, someone who’d never been caught while performing one of his scams before, finally loses. 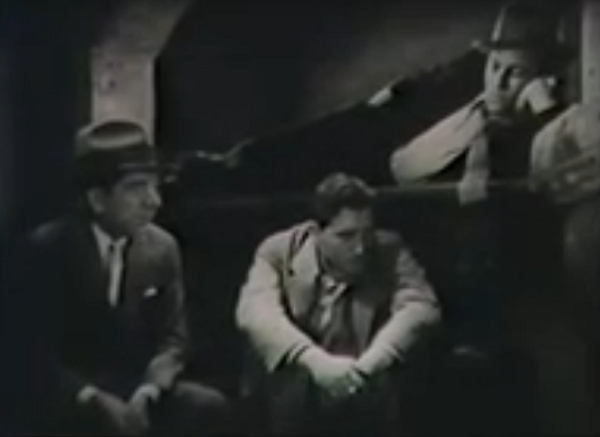 One of the more notable bits of the movie involves Limey secretly blackmailing Wolf about a completely innocent late night rendezvous between Gail and Reed. It’s the perfect ‘in’ for Hollywood, which at the time this was being made was still being roiled in scandals and bad publicity for its salacious content and naughty stars. 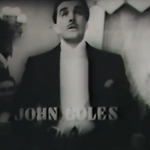 The implementation of the Motion Picture Production Code a few months after this film’s release would give studios a new way to try and polish their image, but, as this film shows, there were always badly behaving stars and opportunists who could exploit that battle between the way Hollywood wanted to be seen by the public and how it really was. Bottoms Up takes a while to get going, and while it has a number of humorous scenes, it doesn’t ever build to much, even with the bittersweet ending. 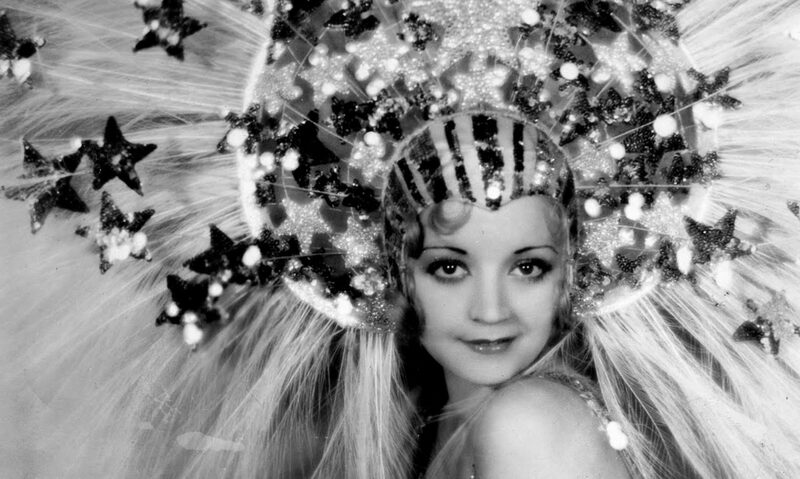 It’s a lark that reflects the romantic virtues of the early 1930s– and Hollywood’s complete lack of them at the same time. 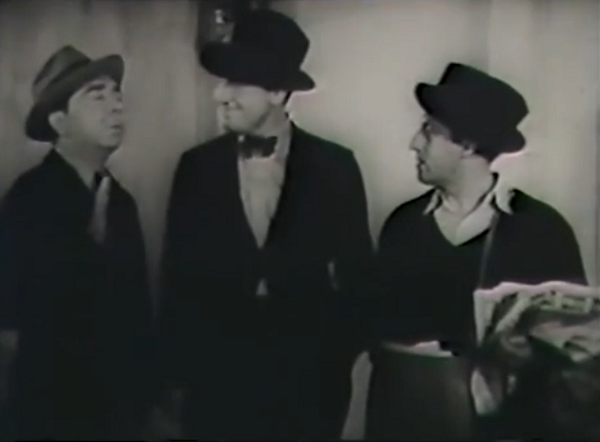 Getting some name drops here are The Four Marx Brothers (whom Todd had worked with in Monkey Business and Horse Feathers), Greta Garbo, and Chandu the Magician. 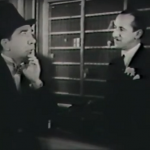 The Jewish studio mogul Lewis Wolf in the film has a name that seems to harken to a real-life Jewish studio mogul named William Fox, whose studio made this movie. Or, at least, it had used to be his studio. You can read more about his wild life over at Wikipedia. 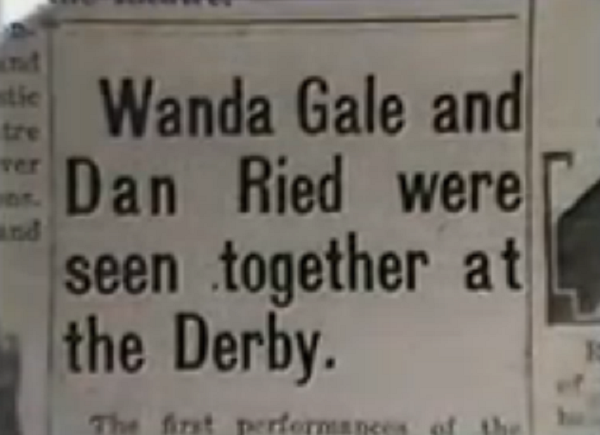 Weirdly, the character of movie star Hal Reed gets referred to as ‘Dan Ried’ several times in the movie for none-too-clear reasons, including in a few printed headlines. 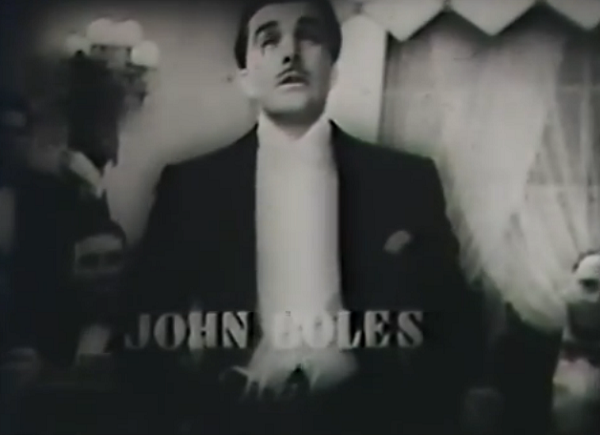 And, yes, this is probably the closest I’ll ever get to seeing my name in a pre-Code, even if it’s off by a few letters. 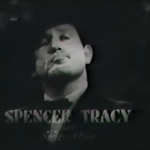 And, yes, Tracy’s character is Smoothie King– no relationship to the identically named shake franchise is known at this time. Mordaunt Hall for the New York Times compares this one unfavorably with Once in a Lifetime but still believed it to be thoroughly entertaining. 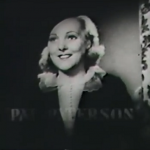 This film is fairly rare (as many Fox films from the early 30s are), but someone has graciously uploaded it to YouTube. 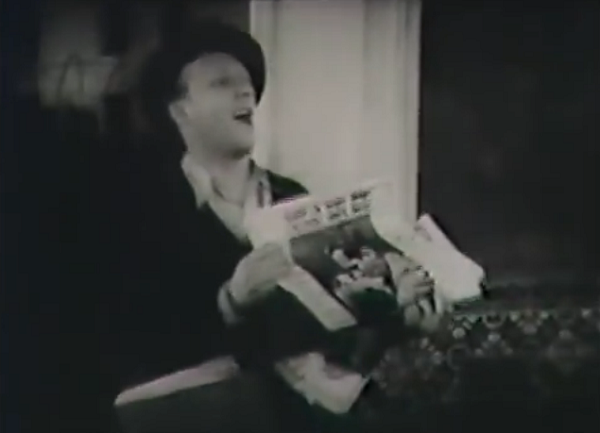 I remember Harry Green well from BE YOURSELF which starred Fanny Brice. I can imagine him doing the same “ethnic” type in this film. I haven’t seen Be Yourself yet, but it’s broad enough that it could be plugged in anywhere.